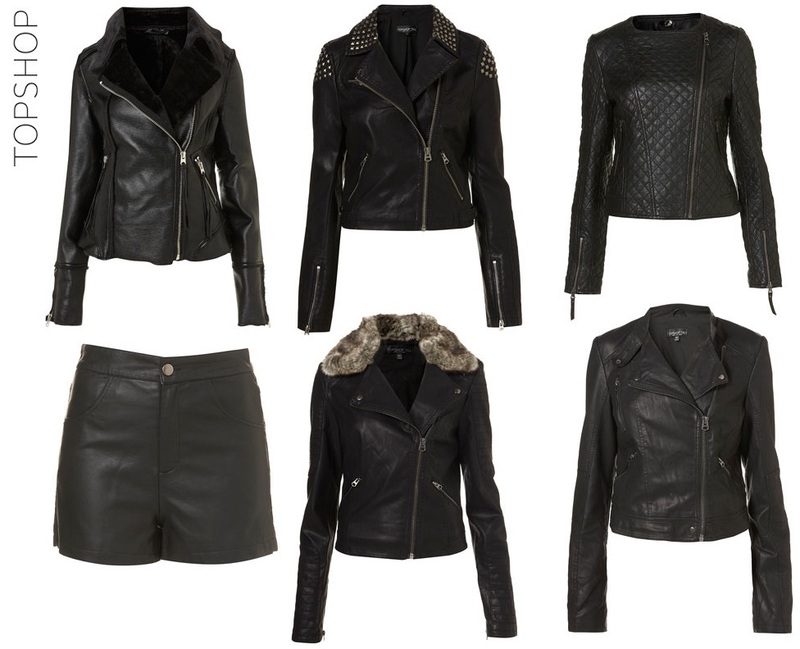 Real or faux, you will see leather all over the place this season. Nobody (and I mean nobody) wants to see a head-to-toe leather look. Use it as an accent or a statement but NOT as the entire fit. The world thanks you. I love these tall options! I already purchased the Alloy pants and can't wait to pair them with an oversized sweater and some ankle boots. How are you going to rock your leather? TOP SHOP: SHEARLING BIKER JACKET. $150. Sizes 4-8. STUDDED BIKER JACKET. $130. Sizes 4-12. QUILTED LEATHER BIKER JACKET. $360. Hurry! Only 1 size 4 left. FAUX SHORTS. $60. Sizes 8-12. FUR COLLAR BIKER JACKET. $110. Sizes 4-12. BIKER JACKET. $110. Hurry! Only size 4 and 6 left! LONG TALL SALLY: PREMIUM LEATHER JACKET. $345. Sizes 6,10 and 14-18. LEATHER GLOVES. $69. Sizes small to Large. Longer length. LEATHER SKIRT. $259. Sizes 6-18. ALLOY: JALATE PLEATHER SKINNY PANT. $39.90. Sizes 1-25. Up to 37" inseam. JCP: A.N.A. MOTO JACKET. $45. Sizes Medium to XXLarge. WORTHINGTON FAUX LEATHER SKIRT. $25. Sizes 6-20. NEXT: BLACK PU SHIFT DRESS. $146. Sizes 4-14. LONG ELEGANT LEGS: THE ROCK STAR LEGGING. $58. Sizes S-XXL.